This video quickly walks you through how to set up a live poll (live polling service) with Mosio Q&A using the Surveys feature in the system. You’ll have your audience text SURVEY to your texting number, then complete the survey you have created in the system. A recent study concluded that roughly 98 percent of SMS messages are opened and read within about fifteen minutes of receipt. Given these eye-opening statistics, there’s no doubt that text messaging is the most direct way to communicate with almost everyone today. Throughout the country, many churches are recognizing the importance of text messaging to create a more interactive experience for their visitors and members. In fact, many churches use a two-way text messaging software known as Mosio Q&A, and they love it. Text to Screen – text questions or comments and then project them onto a screen. With our innovative text to screen feature, you can let your congregation do the talking. Throughout a service, bible study, or other church events, our system makes it easy to encourage audience participation when they use text messaging to send a comment or question. These comments and questions are then projected onto a large display screen. Not only will your congregation become more engaged, you will also obtain key feedback through a simple text to liven the event in real-time. Many churches would like to survey visitors and members to improve their community outreach plan. Did you know that Mosio offers a simple and powerful way for churches to collect this important data and information? During the church event, our system enables you to display polls on different screens or monitors. Contrary to similar text messaging services, our platform allows you to include as many questions on the poll as you would like. That way you are able to gather as much information as possible from the attendees. After a great church event has ended, you can use our system to determine how to improve future events by sending out a simple text message to the attendees. According to much research, text messaging alerts have a 99 percent open rate. When you have Mosio by your side, you can make sure that your newsletters never go unnoticed again with our great alerts feature. As more and more of your church members actually read your newsletter, you’ll notice a substantial increase in attendance for church events. TextChat – interactive, two-way text messaging that can be received and responded to. In today’s society, pastors and church leaders are busy, and often times, it’s difficult for them to return phone calls in a timely manner. By using Mosio’s interactive, two-way text messaging feature known as TextChat, church leaders will be able to receive and quickly respond to multiple questions and comments from various members. 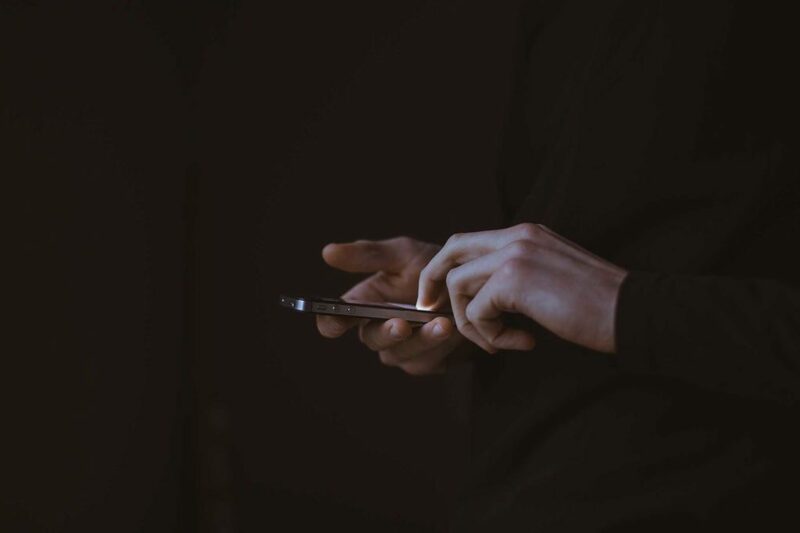 As church members receive quick and fast responses to questions and concerns, they will be more than willing to continue using text messaging to communicate with the church. The ultimate result of TextChat is a church with improved engagement. 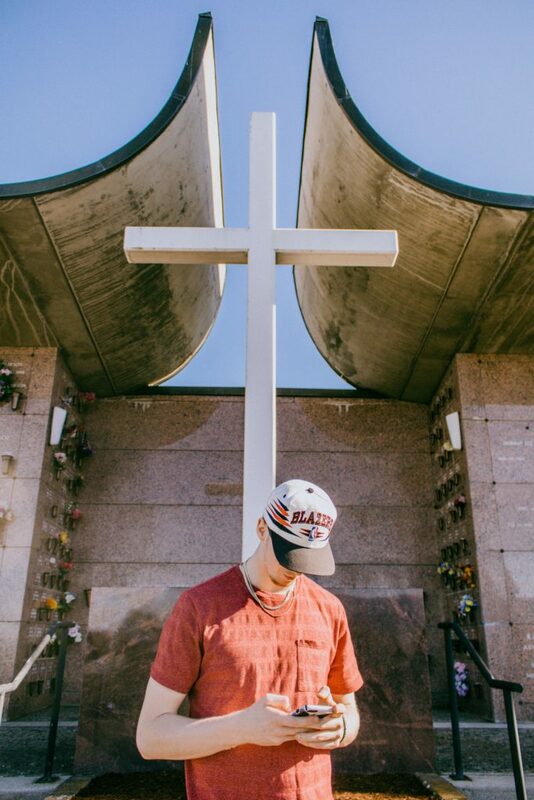 Due to the fact that this amazing feature allows you to communicate 10-15X more efficiently than phone calls, TextChat is also great for church hotlines and helplines. See how text messaging can work better for your church. Sign up for a free, 14 day trial of Mosio Q&A. How Does Mosio Q&A Compare to Turning Point Technologies? The most successful conferences, meetings, and events are not only engaging but also interactive. In order to improve learning experiences for everyone, many people are investing in interactive software such as Turning Point Technologies and Mosio Q&A. Although Turning Point is a very popular option, especially in academia, Mosio Q&A has proven to be a simpler and more cost-effective solution. Recently we had someone ask us the difference between the two. 1. They both enable the audience to ask questions of the speaker and answer questions via survey. 2. To encourage more audience participation, both of the companies make sure that everyone has a voice. 3. Their interactive software features improved staff training and education. 4. The two companies offer simple audience data collection and the ability to gather immediate feedback. 5. Both of the software are designed to receive thousands of responses from participants. 6. 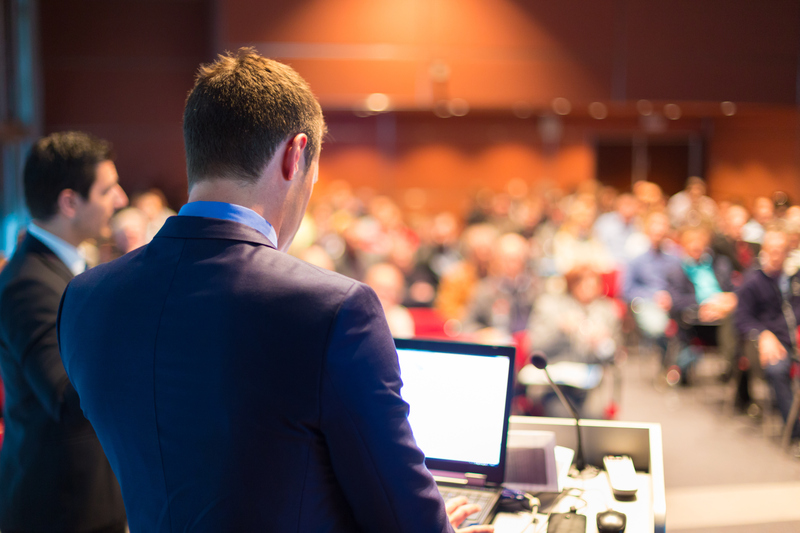 Mosio and Turning Point offer a more engaging event, conference, and meeting. One of the primary benefits of using Mosio Q&A instead of Turning Point is that Mosio does not require a downloadable app. To use Mosio Q&A, all the participants need is a mobile phone with texting capabilities. In contrast, participants can only use Turning Point via mobile app, which just adds one more step to the user process, especially if they haven’t done so in advance of the event, conference, or meeting. As far as usability for event staff is concerned, the interactive Mosio Q&A software is web-based. In addition, the system is extremely easy to set up for audience members. They use the text messaging feature on their mobile phones, texting the same way they do to friends and family. As the demand for effective interactive software increases, customers are ultimately looking for ways to make their lives easier. Contrary to Turning Point, Mosio Q&A does not require additional hardware such as clickers to engage the audience. With Mosio Q&A, participants can ask questions of speakers and respond to survey questions using text messaging on their mobile phones. For an optimal learning experience, such questions can be posted before, during, or after the event. To stay relevant in the market, both of the companies offer competitive prices. While this of course is good news, Mosio Q&A’s software, instantly usable, comes in significantly cheaper. 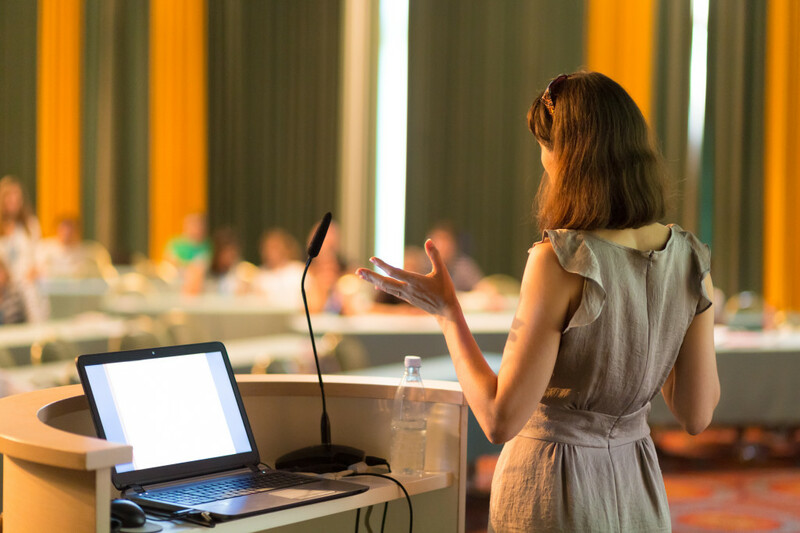 Whether the goal is to impart crucial knowledge or keep audiences engaged, both Turning Point Technologies and Mosio Q&A provide effective audience Q&A solutions for enhancing learning experiences. Both companies share many similarities in that regard. Of course, don’t just take our word for it. You can sign up now for a free 14 day trial of Mosio Q&A in about 30 seconds. If you’d rather, you can view our pricing first, there’s a link to sign up for the trial from there as well. Your event is over, and it was a massive success. Or was it? The best way to find out is by sending out a post event text survey. 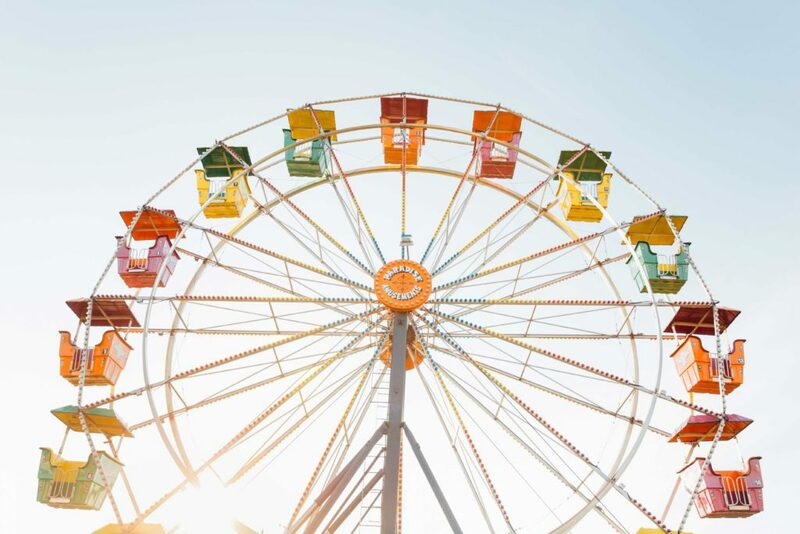 In doing so, you will be able to gauge precisely what your guests thought about the experience, measure their satisfaction, and see if there are any tweaks you can make to make your next one even more successful. This can all be achieved through event survey questions. The problem is, how do you go about doing this without boring your attendees to death? After all, you want to improve SMS survey response rates, and considering the actual rate of some survey responses hovers around a measly 30 percent, you need to make sure you get as many as you can to fill out your form. When performing text polls after an event, you want to make sure that your questions are eliciting the types of responses you want. To accomplish this, you need to avoid confusing your respondents. 2 – Do not create bias by asking leading questions. 3 – Provide a plausible range of responses. Just as you do not want to create any bias when asking a question, you also do not want leading answers. For instance, when asking how people would rate the event, it would be a mistake to have the answers saying “it was awesome,” it was fantastic” and “it was so much fun.” These answers are only going to frustrate people. Be honest in your range of answer choices so that your respondents can answer how they really feel. 4 – Do not alienate anyone in your survey. Say you want to know what vehicles your demographic drives. Providing only “truck, SUV or sedan” as the possible answers will frustrate anyone who drives a motorcycle, hybrid or who does not drive at all. Be sure you provide all possible choices and when in doubt, use ‘other’ along with a way for them to let you know what that ‘other’ is. 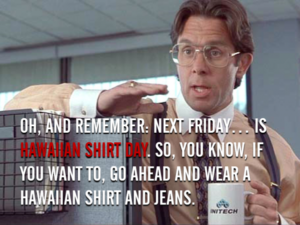 5 – Do not be afraid to inject humor. If we are to be honest, some people love doing surveys, but most do not. They can be quite dull. Don’t be afraid to liven your text polls up to make them fun. Injecting humor in your questions or providing a funny answer can entertain your guests, making them more likely to fill it out in its entirety. Event survey questions do not have to be dull and boring. By utilizing the above tips, you can make the texts more enjoyable as well as garner responses that help you learn how to improve in the future. 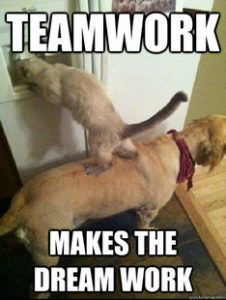 Building a strong and positive team should be a main focus for any business. If you’re looking for a fresh perspective on outdated team building exercises, think about incorporating text messaging to create a strong and unified team. Text message your employees about a change they’d like to see implemented, or ask something as simple as where to order lunch. They’ll appreciate the opportunity to contribute. Getting the entire company involved in both the big and little everyday decisions can go a long way in boosting team morale. Two-way texting software is beneficial for welcoming new members to your team. Texting seems much more personal than sending a generic “Welcome to Our Company” e-mail. Two-way text could even be utilized between team members in mentorship scenarios, giving brand new team members the opportunity to feel supported while acclimating to a new working environment. Who doesn’t get excited to receive a picture message? Our two-way text messaging software supports image, making texts even more personal. Try planning a team building exercise around a scavenger hunt in which participants must send a picture of something specific. Encourage employees to take pictures of their workspace or an exciting project they’re working on. Images have the ability to bring people together by enhancing personal connections. Bring together your team to come to an efficient group decision. Text employees a question in the form of a poll. Poll results can give the team a visual breakdown of where everyone stands on any given issue, giving them a greater understanding of the wants and needs of the entire group. Business leaders, especially at larger corporations, have a reputation of being inaccessible. Implementing texting software gives you a chance to make yourself instantly available to employees, more so than any other method of written communication. The more personal connections you are able to make with your team, the more they will feel as though they are members of a strong unit. What better way to motivate your employees to initiate or respond to a text than by picking one lucky responder to win a prize? Make it something that employees look forward to. Try company trivia and pick a winner from one of the correct responders. The ways to incorporate text messaging in team building exercises extend far beyond the few ideas we’ve provided. If you want to build a corporate culture that thrives, consider utilizing two-way text messaging for team building exercises. If you think about it, the question and answer period of any corporate event is critical in the context of your audience’s experience: It’s a time for attendees to seek clarification and the last chance for you to positively impact your attendees. While there are many ways to engage an audience in Q&A, not all are created equal when it comes to effectiveness and efficiency. If you’re not using text messaging at your corporate events, you could be missing out on opportunities to maximize audience engagement. In recent years, there’s been a shift in communication styles: More people are likely to use text than any other form of communication, especially young adults. Knowing that so many people prefer to text, it makes sense to try incorporating it into your next event. Passing around a microphone and asking your audience to raise their hands to speak are two extremely common ways to ask questions at events…That also tend to eat up the most Q&A time. Texting allows for quick, to-the-point information to be exchanged. This means more opportunity for you to answer important questions. You have the ability to moderate text questions at your event. 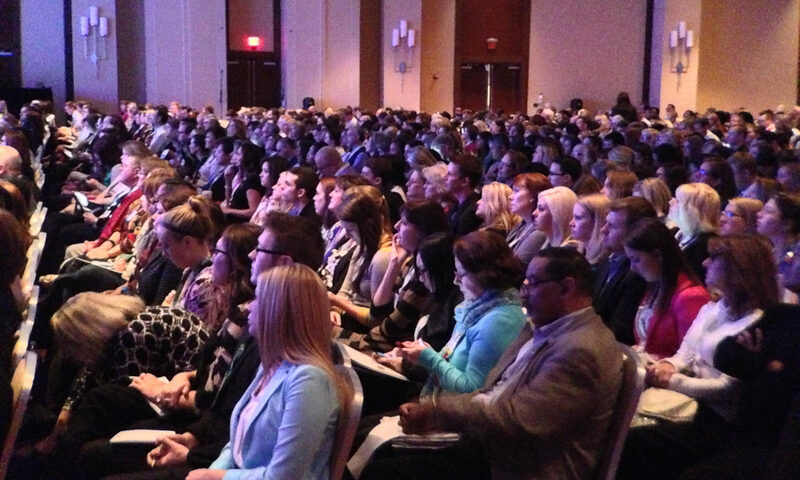 Is there an important point or takeaway you’d like to emphasize with your attendees? Simply choose the best text message questions to accomplish your goals. Many companies use social media outlets to take questions during events. Instead of hoping that the majority of your audience has a twitter account and knows how to use it, rely on the fact that over 91% of adults in the US own a cell phone with texting capabilities. Not everyone feels comfortable speaking out at large corporate events, and that’s okay! Text allows an alternate mode of questioning for those who are more apt to utilize written communication. There are many important questions that go unasked because someone might not feel at ease attaching their name or face to the issue at hand. Texting anonymously is the perfect way to get these types of important questions asked at your event. While most other forms of Q&A engage only the person asking the question, texting provides an opportunity for the majority of your audience to interact with you. Event attendees who actively participate retain more information and will be more likely to correlate your event with a positive experience. Allowing everyone to text in a question shifts an attendee’s perspective from passive to active. 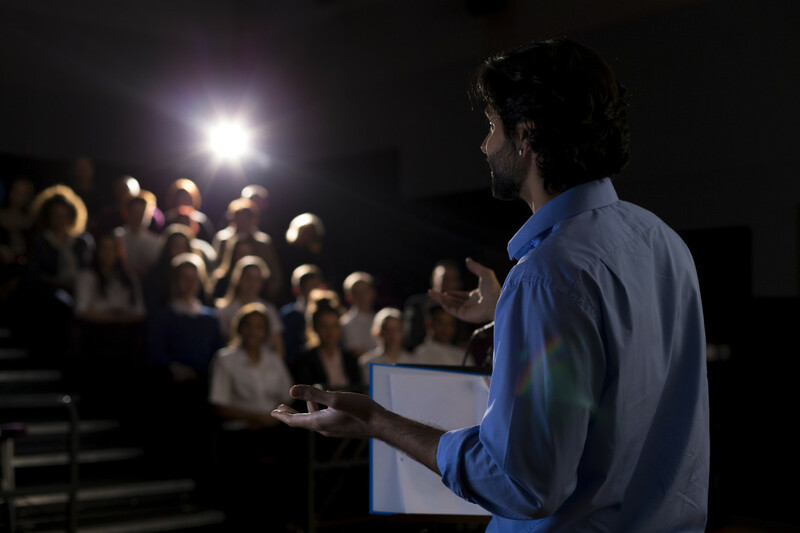 Don’t let outdated or inadequate methods of Q&A detract from your next event. Consider utilizing text messaging software for a more effective, efficient and successful Q&A session. 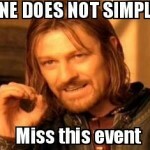 We scoured the internet and found these 18 great event, meeting and conference memes. Click on each to open the images into the gallery. Enjoy! 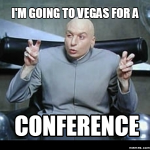 I’m going to Vegas for a Conference. 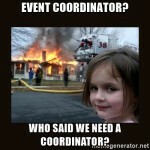 Event Coordinator? Who said we need a coordinator? 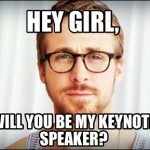 Hey Girl, will you by my keynote speaker? 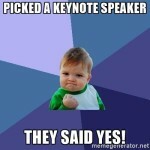 Picked a keynote speaker…they said yes! Have you been considering using an event text messaging service for your next conference, seminar or town hall meeting? Maybe you are on the fence about it or don’t know how your company will benefit from the technology, or perhaps you think it is too technical to implement? 1 – Use software with no installation, only the internet. We highly advise against using an application that requires installation. What if the computer you’re using crashes or isn’t available? Use something web-based that works in the cloud and reaches all users who have text messaging (SMS) capabilities. That is 99 percent of phones on the market today! 2 – You can communicate itinerary changes instantly. If there is a conference room number change, or even a venue or date change, you need to be able to let people know efficiently and immediately. 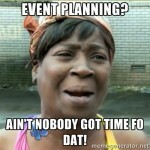 With web-based event text messaging services, you do not have to worry about getting the memo out. Send a text, and you update everyone at once. How is that for ease and peace of mind? 3 – There is no need to rent expensive equipment. Remove the need for physical audience response systems and clickers that need to be passed out. The technology required is already in your conference-goer’s pockets (their mobile phones), and since they already use their phones every day, they do not have to be tech-savvy to figure it out. 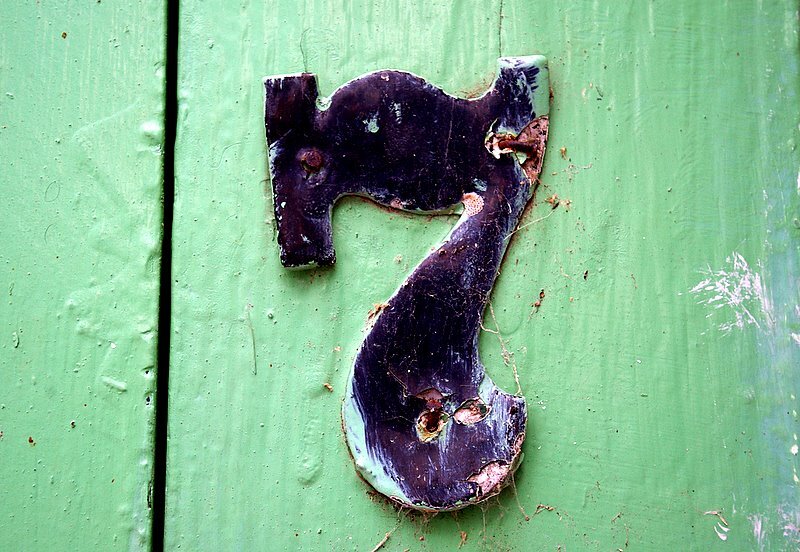 4 – The learning curve for your company is minimal as well. 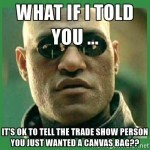 All that is needed is a laptop with an internet connection, and you are ready to start connecting with attendees. 5 – The two-way messaging engages audiences and increases participation percentages. It can be scary to stand up in front of a crowd, so many people will not get up and ask questions even when they have them. You know what is not scary? Sending a text – everyone does it! 6 – Your staff can review messages and inquiries as they come in. The last thing you want is something damaging or offensive popping up on the on-stage screen for all to see. Vet the questions on your laptop before they have a chance to cause embarrassment for your company or constituent. 7 – Collate issues to address or study after the event. The best event text messaging services enable you to export questions to an Excel spreadsheet for analyzing core concerns, and for answering those that were not discussed live. 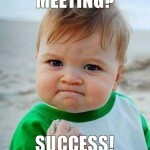 8 – People do not have to attend your meeting physically. Web-based widgets allow virtual attendance from anywhere in the world through smartphone, tablet or computer. 9 – Encourage participation with rewards. People love to win prizes, and sometimes that is the nudge otherwise shy people need to begin interacting. You can offer real-time prizes like Amazon gift certificates just for people communicating with you! 10 – Increase your return on investment with customized promotional messages. Enter your contact information or a clear call-to-action that folks can complete right from their mobile phone. 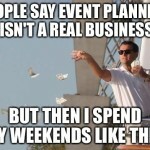 You want your event to be a successful one. Mosio can help. A great text to screen app increases engagement and audience participation. Every successful event does one thing: it gets the audience’s attention and keeps it. What better way is there to do this than by asking for their participation to help guide the event? This may sound like the proverbial “easier said than done” advice, but it can be accomplished easily with a text to screen app! These applications are great tools to help keep everyone in the audience interested because they can send in questions, comments and even images, which then show up on the large event screens for all to see. Presenters can scan through the incoming texts to vet out anything inappropriate and to keep things moving along. Afterward, many, like Mosio, allow for the incoming information to be exported to a spreadsheet for review or answering later. This list is by no means exhaustive. Texting apps are useful to anyone who wants to stand out from the crowd and make their event a memorable one. Your situation may be entirely different from anything listed, and we would love to hear how you would use the technology! You may be wondering if there are any drawbacks to these apps. There is one, and that is they require users to have a smartphone to be able to download the application and install it on their iPhone or Android. However, according to an Ofcom consumer research study performed in October 2016, only 77 percent of users in the United States have smartphones. This data shows that 23 percent of users may not be able to interact with you at your event! Is there any way you can increase the interactivity for all of your audience? There is, and the answer is to utilize a service that provides everything a text to screen app does, without requiring users to download an application. Mosio understands that not all users at your event are going to have a smartphone, and we know it is important to you not to ostracize anyone for their choice of technology. That is why our service is not dependent on an app. The users can interact with your presenters by doing what they do on a daily basis: texting! All that is required is that their phone has text messaging (SMS) capabilities – and that is 99 percent of the phones on the market today. If you would like to learn how to make your next event interactive for everyone involved, contact Mosio today. Why Would You Want the Audience Texting Questions During Presentations? Have you heard of text-enabled events? You may be thinking that allowing the audience to text questions during a presentation would be distracting, and would disrupt the flow of the conference, meeting or seminar that you worked so hard to set up. That is a common concern, so here we will address that and four more questions people often have about this unique service. Wouldn’t the audience members have to learn how to use the handhelds or clickers? No! It is true that some audience response systems use complicated equipment or clickers to record responses from event-goers. With simple-to-use event text messaging software, there is no learning curve, as people use technology they already know: their cell phone. Your members do not have to be tech-savvy, and you do not incur the cost of renting expensive equipment. Would I have to worry about training some of my staff to use the technology? 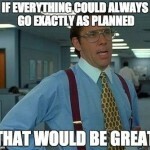 I have enough to worry about the day-to-day operations of my company to have one more training session to plan! No specialized training is needed. The best audience texting software requires only a laptop and an internet connection. Setup is super easy, too, and support is available to guide you every step of the way should you need some assistance. Is it available in the app store for Android or iPhone, and how much will it cost for attendees? I am sure they will groan at having to download something else that takes up precious space, and highly doubt they will pay for it. 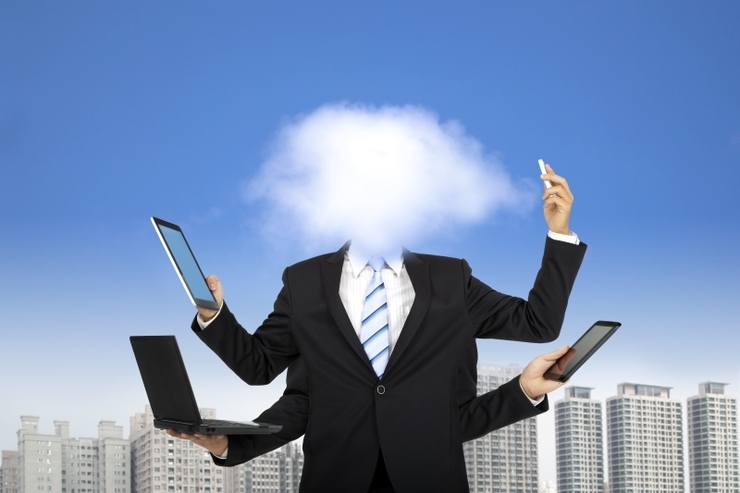 Our system is cloud-based, and does not require downloading any applications. In fact, smartphones are not necessary at all! As long as the mobile phone allows SMS text messaging, users have all they need to begin participating. This functionality is available in 99 percent of the phones on the market today, so chances are, most everyone will be able to join in. How is texting questions better than people just asking them at a microphone? It is true that you could make sure you have a couple of extra microphones on stands strategically placed around the hall or even have staff members ready to reach questioners when they stand to speak. However, microphones fail, batteries die and electrical cords can trip people up. You certainly do not want the audio going out during a question and answer session. People can also be genuinely afraid to speak up. When you give them the opportunity to ask questions through text – something they do daily – you remove that fear. People are more willing to ask the burning questions they have when they have the safety of anonymity. Won’t texting questions during a presentation be distracting to the presenters? Quite the contrary! The inquiries will show up on the laptop screen, so there are no instances when those on stage cannot hear what an attendee is saying. They simply read them on the screen. The text can also be displayed on a large screen so that everyone in the crowd can see them as well. Any inappropriate questions or comments can be audited out, and all of them are available for exporting to a spreadsheet for review once the event is over. If you have any concerns about texting questions during presentations that we have not addressed here, let us know! 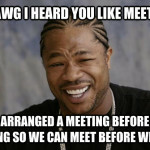 What does your ideal conference, seminar or meeting look like? You have put in the time and money to get the word out. The brochures look beautiful. All of the presenters are lined up and ready to go. You gaze out into the sea of faces, and delight in there not being an empty seat in the house. Then, it happens: During the question and answer session, someone knocks the microphone doesn’t work or it is making a popping sound. The sound does not amplify anymore, and people in the audience cannot hear the questions, much less the answers. With twenty-three people still in line to get their concerns addressed and two-hundred people in the conference hall getting irritated and restless, you feel the anxiety starting to build as all of your best-laid plans start to fall to the wayside. As you slowly slink into the background and make a mental note to update your resume, someone comments that you should have used text to screen software, and you just cringe. 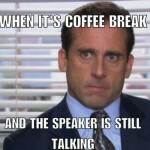 An audio problem during a presentation can unravel weeks of planning in a split second. When you implement text to screen capabilities, you do not have to worry about questions not being heard; they will be displayed on the screen for all to see. The only voice projecting is that of the speaker on the stage. There is also no need for presenters to walk around the crowd chasing after raised hands, nor do people have to wade through the aisles to make it to microphone stands strategically placed around the auditorium. Furthermore, no one likes standing up to wait in line in front of hundreds of people. So, don’t make them! Glossophobia is the fear of public speaking. A whopping 75 percent of people suffer some anxiety or downright terror at the thought of getting up in front of a crowd and talking. To make matters worse, this number does not include those who suffer social anxiety or other generalized anxiety disorders. This statistic is of concern to anyone who genuinely wants to hear their audience, because there are so many unasked questions left due to people being afraid to ask them. By allowing people to ask questions and address their concerns through text messaging, you are allowing anonymity and setting their fears at ease. We can all agree, every question is not a good question. There will always be that one person who just cannot wait to get to the microphone, sometimes it’s hard to tell if they have a question or just want to talk. Time is wasted and the audience annoyed. They can be disruptive at best, and at worst can turn a promising gathering into an awkward tangent. Wouldn’t it be wonderful if you could moderate the questions before they get asked? You can! With text to screen software, your staff can vet questions as they come in, removing those that are inapplicable to the discussion. 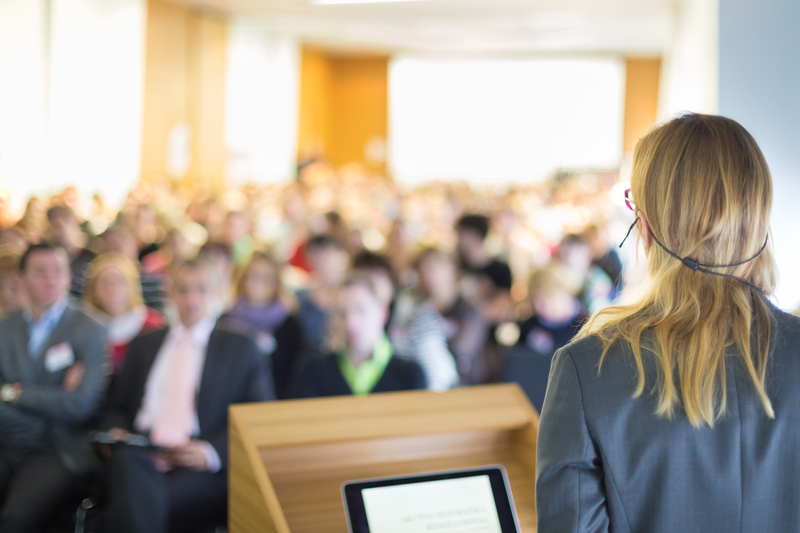 Events are all about communication, and when your business hosts one, be it a meetup or full-blown conference, the success of it lies in how well you can communicate and hold your audience’s attention. What better way to accomplish that than by placing yourself in their hands? Here, we will give you seven ideas to use text messaging for events and make your next one the most successful yet! 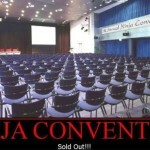 If your event is a big one, chances are people are going to be attending from all over. You can help make their stay as enjoyable as it can be by ensuring they have all of their concerns answered in a timely fashion. Add a dedicated text number in your event information to have customer service representatives answer their questions about directions, lodging, where the best eateries are and more. It is all in the list. This sage wisdom has been passed around the internet marketing world for over a decade now, and it is still a relevant piece of advice. Now, you can make it easier on your customers by instructing them to join your opt-in through text message. Add this information to your flyers, put a message up on the screen or have the speaker ask for it so you can see those addresses come flying in real-time. Encourage interaction by letting your audience know they can win some cool prizes just by interacting with you on their phones. Let them know that at the end of the event a certain number of participants will win and that every person that interacts is automatically entered. The idea of winning something gives added incentive to send in their emails, vote in your polls and whatever other awesome systems you set up. 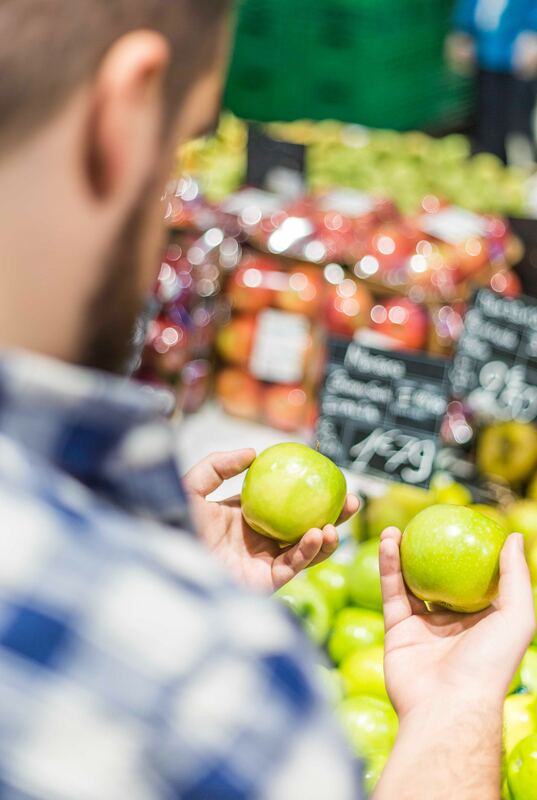 What better way to learn what customers want than by asking them? Gone are the days when you would pass out questionnaires, wait for them to be turned in, and then pay someone to tally up the responses and make a nice little pie chart for you to see if the masses want their widgets in red or blue. These days you can see results calculated as they come in and be certain that the count is right. You know, since machines do not have that whole “human error” element. No one likes tripping over microphone wires, much less waiting in line to speak into one. If your guests can ask presenters questions from their phone without the embarrassment of having to actually speak, you will make them very happy indeed! 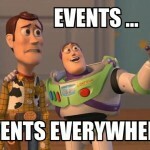 You may think your event went off without a hitch, or you might be fearing that it tanked. We all know that the customer is always right, so you better find out what they think. After the event ends, send the attendees a quick survey to see what they thought. The people who graciously took time out of their busy lives to listen to you at least deserve some appreciation, right? A little thank you goes a long way, and this text will show how much you care. As you can see, businesses can use text messaging for events in many creative ways. How will you spice up your next get-together with our technology? Audience response technology has come a long way from the clickers of yesteryear. Today they are versatile tools that can be effective in a myriad of applications, and through the power of software as a service (SaaS) and text messaging, it is no longer necessary to rent physical equipment. Your users do not even need a smartphone! Here are seven examples of how forward-thinking companies are utilizing this exciting technology. Teachers from kindergarten through college can use audience response to give out quizzes that generate real-time answers and consequent assessments faster than putting pencils to paper ever could. The embarrassment of students being in the “spotlight” when raising their hands is removed, so educators see higher percentages of student interaction when utilizing these audience response systems. These tools are highly useful for workshops and employee training. Testing is quick and efficient, and trainers can analyze knowledge retention immediately to recognize what areas they need to address in more detail. How many times have we all sat through conferences and meetings in which we struggle to stay awake? Adding elements of gameplay to speeches and presentations can keep audiences engaged and interested. You can accomplish this through polls, interactive questions and much more. Risk management is a critical process for a variety of institutions. Audience response technology can be used by team members to gauge many different viewpoints at once, which managers can then quickly turn into visual representations showing the risks of any given project. Towns and cities have long used polling responses to determine how to use budgets, see where the majority of citizen concern is and more. Utilizing instant response, city leaders can reduce analytical time by knowing how voters feel on issues right away. The technology also cuts out wait times in question and answer sessions by removing the need for people to wait for their turn at the microphone, and it likewise reduces impropriety because questions can easily be vetted. 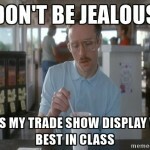 It can be hard to stand out at trade shows when your booth is surrounded by many others all vying for the attention of the crowd. When a business incorporates audience response systems into their presentations, the spectators will remember them as the booth that gave them a unique experience. You might allow questions by text, set up a trivia game or come up with another way to keep them engaged. Every day, companies are coming up with new and exciting ways to train staff, get instant feedback from employees and consumers alike, stay in front of their competition and much more. How will you use audience response system at your next event? 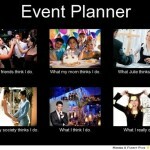 In order to truly have a successful event, you need to have the proper coordination. 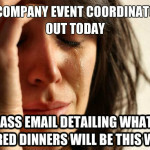 If you do not coordinate and organize the event properly, you can’t expect it to be a success. There are a bunch of different technologies out there for helping coordinating events. You have ARS (audience response systems), Live Responding, and text messaging among others. However, of all the technologies available, text messaging is at the top of the list. Text messaging is at the top of the list because it is the only way to send out alerts and update to attendees even if they are not on site. Sometimes a venue, a time, or other important change can happen at the last minute and you need to be able to alert your attendees to the change. This is one of the biggest challenges event coordinators face, because it is often difficult to get the information out to all the attendees. Text messaging can reach at least 95% of your attendees because 98% of all cell phones can get text messages, and almost everyone reads their text messages immediately. 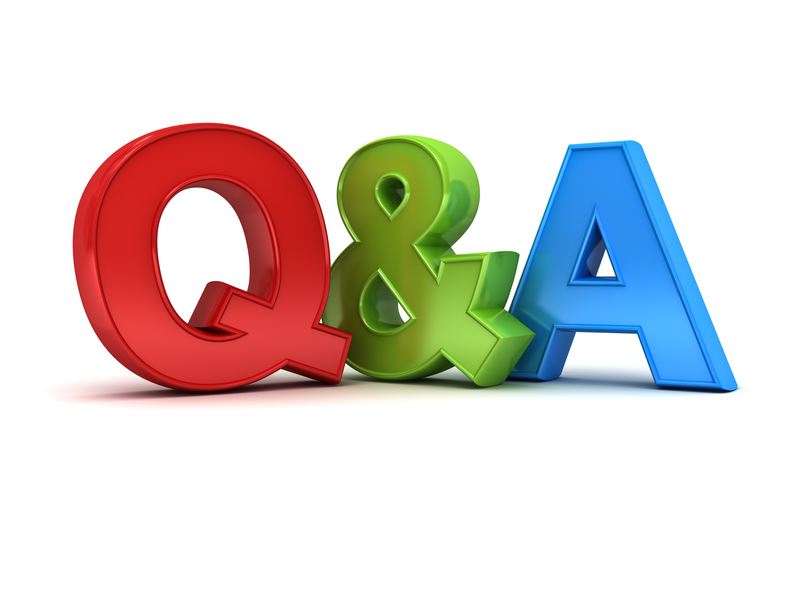 Text messaging can also be incorporated in the Q&A session of your event as well. In the past, people at an event used to have to wait their turn and stand up in front of a microphone and ask their question. Text messaging takes care of that issue. Also, text messaging is the only technology that allows your attendees to ask questions and provide feedback anonymously. Text messaging can also be used to coordinate among event staff, security, valets, and other essential employees to make the event run smoothly. Normally large events have a dozen staff or more across different areas, and it can be cumbersome managing them all. By using text messaging, you have nearly instant communication and can coordinate effectively, no matter where they may be at the time. If you have a sudden change in staff or need a light bulb changed, text messaging can help you get the message out, without needing to pull your hair out by trying to track someone down and tell them. A lot of events also use text messaging not only in the Q&A session but also to collect feedback after an event as well. You can ask attendees what they liked about the event, which speakers were best, how the accommodations were etc. So, the next time you have a big event coming up, consider using text messaging not only to increase engagement in your event but to make coordinating the event a breeze as well.